This really is a family illness. Lately, I’ve been having excellent luck in the hunt for brass bells. I found all five of these at estate sales and thrift stores over the last few months— a bumper crop, if you will. My grandmother often jokes that all the flea markets in Florida and in Pennsylvania have been permanently cleaned out of bells by our endless sifting. It often seems to be true. 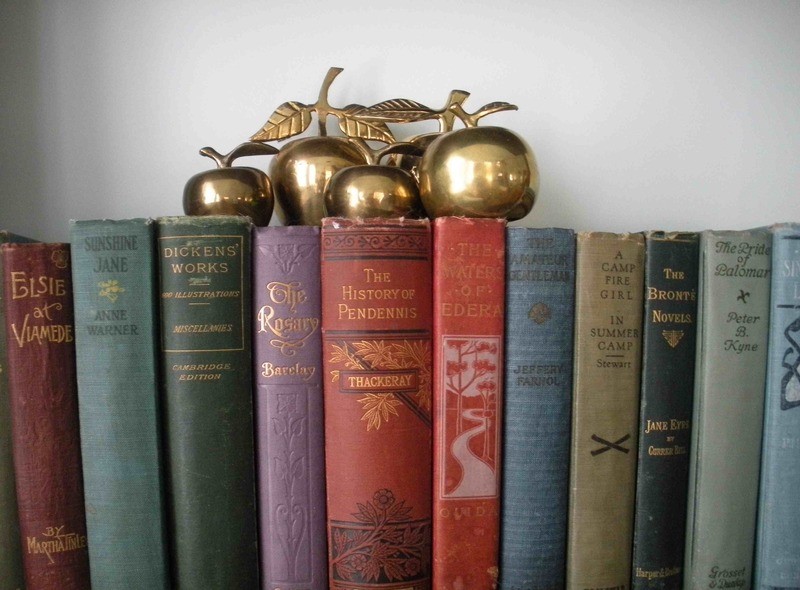 These apple bells—a favorite of mine and also of my grandfather, the collector— have been a rare find lately in those markets. Even rarer: pear-shaped bells, which also surface from time to time. I don’t know if I can let these go. If I can’t, I know that my grandfather will understand— and probably will laugh. No surprise that the family affinity is catching— my great-grandmother, I believe, also loved bells.